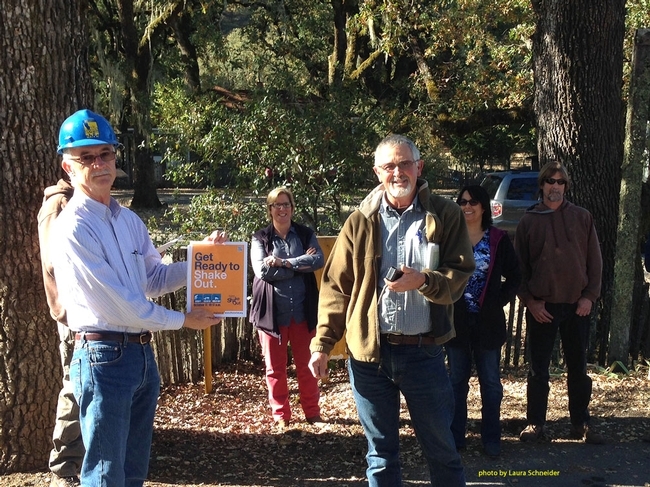 Today, at 10:17AM on 10/17 the UC Hopland Research & Extension Center participated in the "Great California ShakeOut" activity. This event is a state-wide earthquake awareness day and all California residents, businesses, etc. 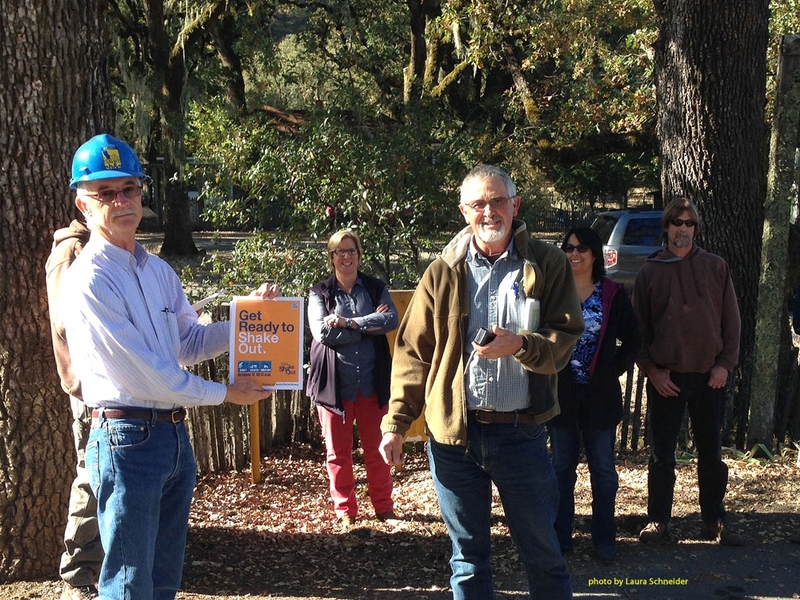 are encouraged to take a bit of time and energy to think about and play out earthquake preparedness and safety. HREC participated by conducting a "Level 1" and "Level 2" life safety drill, which starts with the basic "Drop, Cover, and Hold On"drill. Staff and visitors followed up with serious discussions surrounding Earthquake preparedness, safety during an earthquake, what NOT to do, and operations recovery for after an earthquake. For further information about the Great California ShakeOut see this link. It's never too late for a safety drill!